With some recipes, it really is all in the name. Seriously, every ingredient that goes into this recipe is included in the title above. 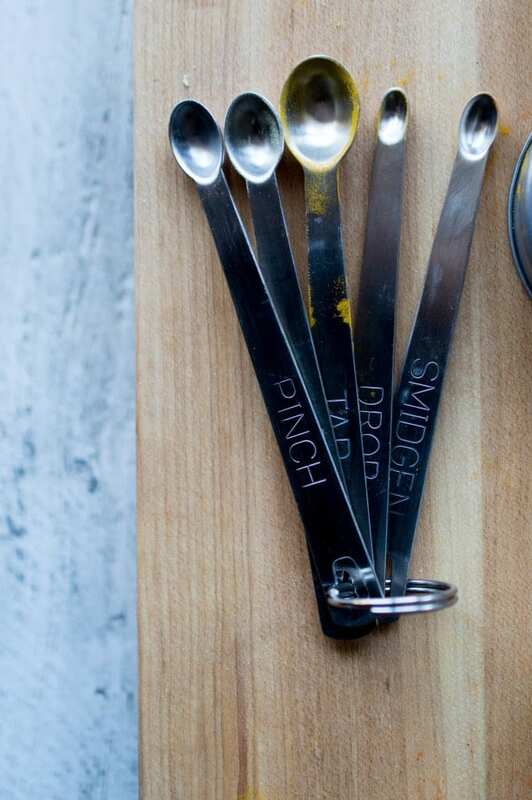 Raid the spice rack, grab a lemon and a jar of honey, and put a kettle on the boil. 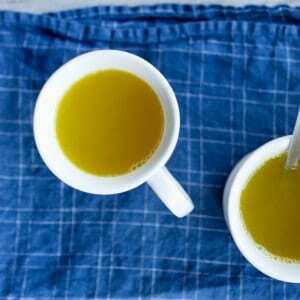 In a few minutes you’ll be sipping your way to better health. What’s that you say, dear husband? You’ve got a tickle in your throat and the beginnings of a head cold? Alalalalalaaaa, I can’t hear you! Nope. Nobody is sick. Not you. Not me. Nobody. With a Valentine’s Day wedding (g’awwww) and Sunday morning mass to sing this weekend, there was no way I was going to succumb to Brendan’s gross cold. At least not before the singing was through. In order to stave off the sick, I employed my usual go-to health tonics, including smoothies full of greens and berries, soup and more soup (thanks, Nona Lim, for the just-in-time care package of rice noodles and broth! ), and this delicious, restorative drink I’m sharing with you today. 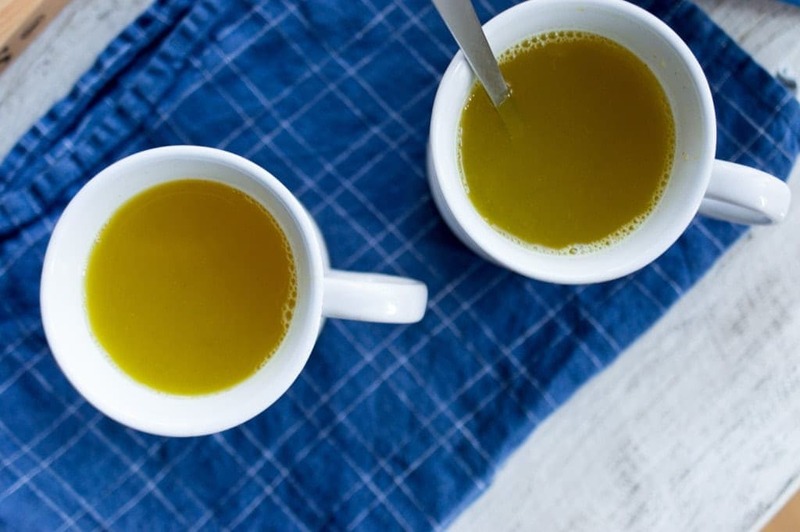 When I was little, my mom’s cold remedy arsenal consisted of a giant pot of chicken soup (or two pots, if the cold dragged on for more than a couple days), chewable vitamin C tablets, and a whole lot of what she called “hot lemonade.” Simply hot water with honey and lemon juice, it was the most comforting sore throat sipper. This is basically my mom’s recipe, with a few tweaks in the name of flavor and maybe good health, if you believe in the healing properties associated with various spices. 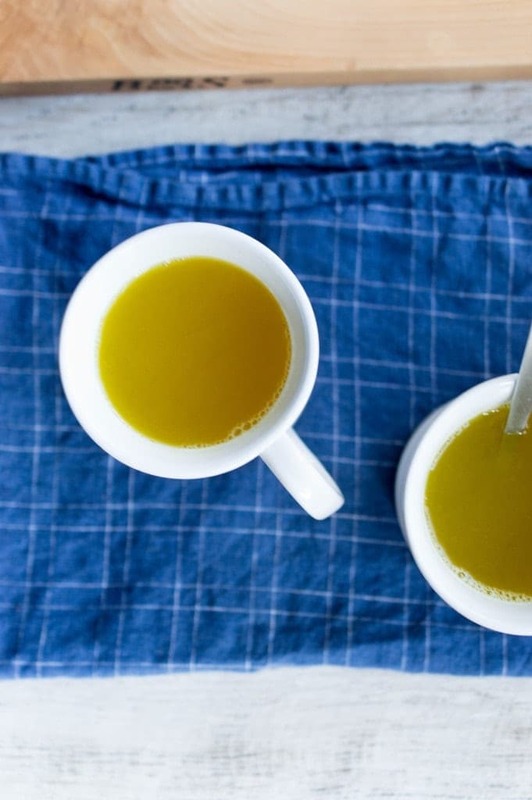 A squeeze of not-too-tart Meyer lemon juice and a spoonful of raw honey are augmented with turmeric, ginger, and cayenne pepper. 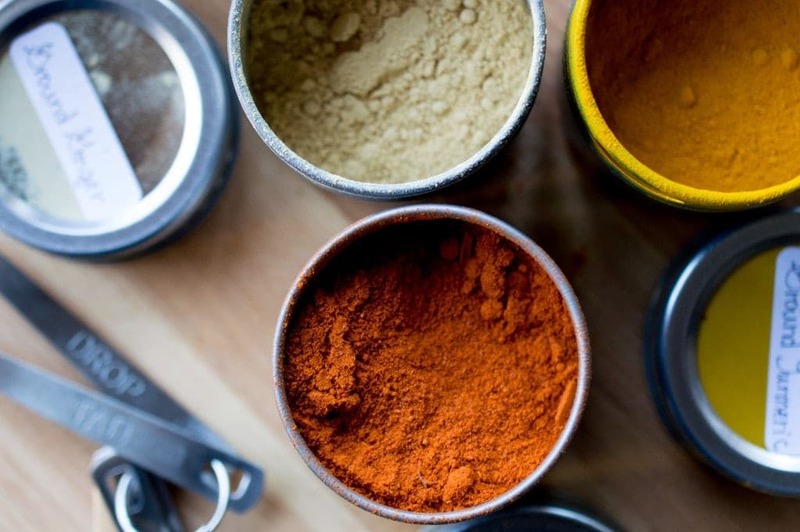 Turmeric really is the darling spice these days. Health claims aside, I just like how it tastes, adding an earthy note to this spicy, sweet and tangy tea/tisane/whatever you’d like to call it. And then there’s its beautiful, sunny yellow hue — the stuff practically glows with optimism and joy. Ginger (excellent for nausea and upset tummies, and also just delicious) and cayenne pepper (anti-inflammatory, soothes muscle aches, adds a pleasantly surprising zing) round out the spice blend. 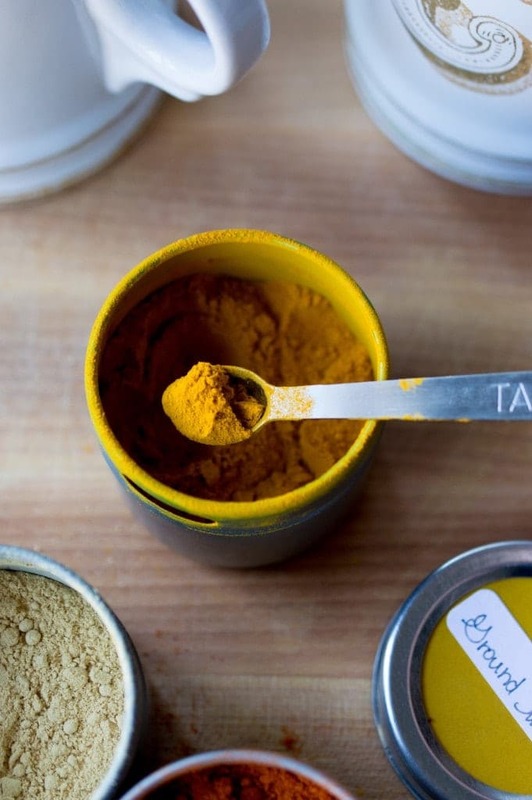 I’d also like to give a shout-out to Heidi at 101 Cookbooks, for her beautifully simple turmeric tea. Her recipe was published back in Fall 2013, and it really seems to have kicked off the trend! She inspired me to keep a batch of turmeric-spiced honey in my pantry, and when that ran out, I created the recipe below. Hot lemonade gets a spicy makeover. Seriously, it's never felt so good. 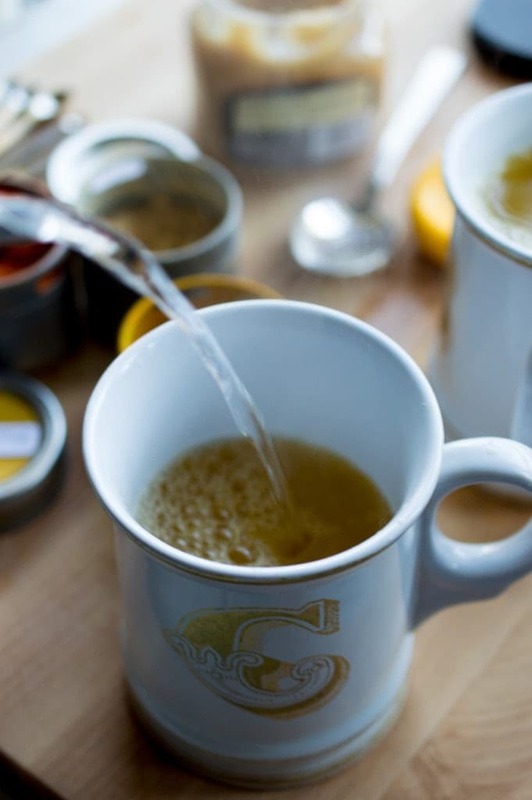 In a generously-sized mug, combine the spices, lemon juice, and honey. Top off the mug with the hot water, stir, and enjoy. To retain the health benefits of the enzymes found in raw honey, do not heat the water above 160ºF. Came across your recipe when searching for “hot drinks to soothe a cold for a sick husband”. Okay, those weren’t the official words in my google search but it lead me to this recipe. I didn’t include the cayenne as we were out of it at the time. Overall, it was well-received by the husband and will be made again. Thank you! So glad your husband enjoyed it! I love this one when I have a cold.